If any one statement in the Jew's daily life is his religious credo, it is the Shema. He recites it every morning and every night, he recites it when the Day of Atonement ends, and when death draws new; it is the Jew's declaration of unshakeable faith in the Oneness of the Creator. When he goes to sleep it is the highlight of his prayers for a peaceful slumber and a rejuvenated tomorrow. The Talmud finds the Ten Commandments in the Shema; the classic commentators extol it as the supreme expression of Jewish belief. Through the Jew's mezuzah and in his tefillin, the Shema sanctifies his home, heart, mind, and strength. 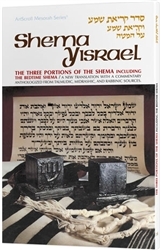 The chapters of the Shema contain principles of belief and lessons for everyday life, because Judaism does not differentiate between faith and action. 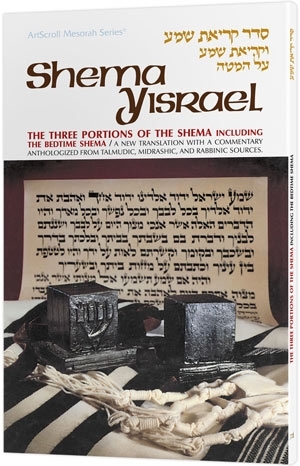 The Shema calls upon us not only to believe, but to live our faith throughout the day, to teach it to our children, and to maintain the integrity of our tradition. A study of these chapters as understood by the great minds of the Jewish past is an education in what it means to be a Jew, to think as a Jew, to live as a Jew. This slim volume is such an education. It weaves together countless strands of inspirational and exegetical thought to create a tapestry of depth and beauty. This book is important reading for scholar and layman. It expands the mind and warms the heart - and it is a significant contribution to Jewish awareness.